Another excellent album from this Russian band! This album is for everyone who enjoys art rock/symphonic prog/classical music with a Russian twist. It is obvious where Gennady Ilyin has taken his inspirations from; as a classical pianist he has much in common with Keith Emerson - and that is good! In "Hallelujah" Little tragedies interpret a song by Prokofiev in a very enjoyable manner - it is a merry tune with a Christmas feeling - and ELP used the same song as base in their "I Believe in Father Christmas". "Conquistador" is a nine minute breathtaking journey that stretches from heavy prog through melancholy and ends up with an emotional final. 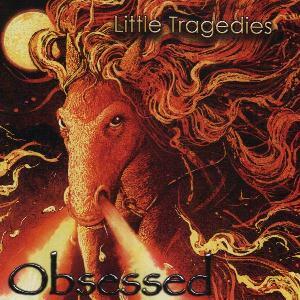 "Obsessed" is another nine minute of pleasure, starting with a feeling that the obsession is boiling underneath - and that bursts out two minutes into the track, then comes a passage with Russian song, the track then brings all pieces together in the final. "Poet's House" is a moody passage with Russian song. "Too Late" is like a 12 minute long symphonic poem, starting in silence, then the keyboards and guitar bursts out in a heavier theme, followed by a short emotional Russian song passage, leaving room for a heavier passage, combining some of the elements from the album, slowly ramping up the piece, adding new elements, to the grand finale, which is breathtaking in its beauty, ending with a question mark - is it really too late? I have listen more or less continuous at this album during the last two weeks and despite some weaknesses (mainly regarding the vocals and some recording imperfections) and my conclusions cannot be other than that this is a true masterpiece! Gennady Ilyin is a true genius, both as a keyboard player and as a composer, where he is one of the absolute best in the world - sorry to say that his vocals are average though. Also the other musicians in the band are truly excellent. This album is a true gem and a "must have"! Despite the average vocals and the "non-state-of-the-art" recording, this album is far too good to not deserve a 4.8 star rating. Highly recommended!